This institute’s main motto was higher learning, higher thinking and higher education. The main objective of the institute is to develop the country through the pursuit of excellence in teaching by contributing to industry, entrepreneurial, social etc. The institute focuses on better education and career growth for the young minds. 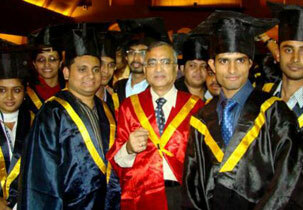 The institute provides soft skills to a career development. Soft skills are the skills, abilities and non-technical characteristics needed to function in a particular employment environment. The institute plans and formulates ideas for placement activities, which provides students with the support and guidance needed to strengthen placement activities and conducts periodic reviews. The institute has scholarship facility for well-deserved and for meritorious students. Sports, Library, Medical, Cafeteria, Alumni associations, IT infrastructure etc. The institute has received Outstanding B-School Award by ABP News in the year 2016. The World Education Global Awards was given to EILM by CIMA. According to the CSR survey carried out in the year 2014 the institute was ranked as the Best B-School in West Bengal. The institute was recognized as the best B-School other than IIM Calcutta by the CSR-GHRDC survey conducted in the year 2008. The placement cell of the institute conducts Pre-Placement Conditioning Classes for improving soft skills, communication skills and personal interview skills. The students are taken for industrial visits and internship programs are offered for a period of 6-8 weeks for making them ready as per the requirements of the industry. The placement cell has much links with the alumni and conducts campus recruitment program which includes pre placement and final placement talks with the organization. The hostel facility provides the students with modern lifestyle similar to the comfort provided at home to excel in academics. The hostel has single, double, triple and four sharing rooms as per the budget and needs of the students which makes them comfortable. The cafeteria is maintained under strict hygienic conditions to look after the health of the students with snacks and meals. The institute provides undergraduate and postgraduate courses in management field with courses designed by experts who have much business experience and the curriculum is reviewed yearly as per the changes that occur in the industrial sector. Sir.ijoin eiilm university in m.se in your instuted.please inform me message not call.thanks.? 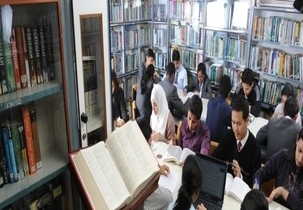 Are you Interested inEastern Institute for Integrated Learning in Management Delhi"? Please provide the following details.